… and take advantage of the high quality of our services. Our business concept of TRUST Mobility Berlin includes the exclusive transport of guests and their safe and discreet journey to the desired destination. And we realize this every day to the fullest satisfaction of our customers. Our demand for safe and exquisite transport is exceedingly high and only to be fulfilled, as we always train our employees perfectly and exemplary and maintain and maintain our high-quality vehicles flawlessly. Use our offered service for all your planned trips and we will ensure that your needs for a high-quality transport of people are met as best as possible. TRUST, RESPECT and QUALITY are the three basic pillars of our company philosophy. Founded by the company’s founder, each of our employees contributes these thoughts to you every day. Trust the reliability of our drivers who respect you with respect and take advantage of the high quality of our services. 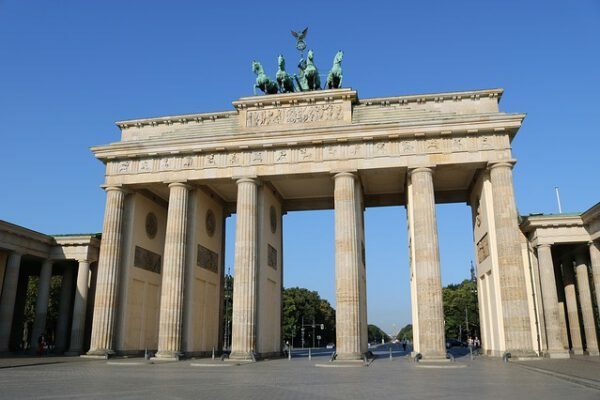 Whether as a limousine or chauffeur service, transfer or shuttleservice – our drivers from TRUST Mobility bring you reliably within Berlin and surroundings to any desired location. Book your personal limousine service now in Berlin.